The magnificent look of this carpet is unbelievable with a garden of flower design. This is Silk on Silk carpet, it means warp in silk and weft also in silk. Due to silk on silk, this is less thick as compared to other and live luxurious and very soft touch. Silk on silk carpet is the symbol of royalty. This is ideal for a living room and dining room. Gorgeous " Kashan Garden " carpet in silk. 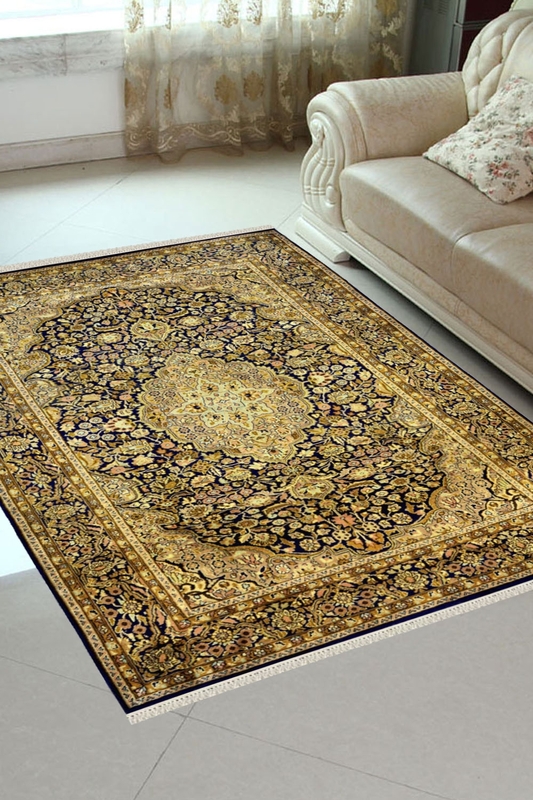 This carpet is made in very fine quality silk which is produced in china. If the material is not pure silk then weavers can never make an intricate and detailed design like this. It has a very intricate and tiny pattern. This silk carpet has Medallion Kashan design which is very popular. It has taken about 9 months to weave. It has a fleur pattern in the ground with very tiny motifs. Number of Knots in this rug is 576 knots per square inch.